Adia Booth has a dubious gift she has always tried to ignore, losing herself instead in books, and in service to others through her work as a real estate agent. When she finds herself alone after dark at Ogden Manor, the broken down mansion her colleagues claim is haunted, she is terrified to find a man in the house. Though his devastating beauty enthralls her, Adia is convinced it is her destiny to die in his arms. So why isn’t she afraid? William Henry Ogden has tried to slake his guilt at the throats of young women from London to Copenhagen, all to no avail. After a century of wanton debauchery he has returned to the old family estate in Pennsylvania with only one thing in mind – cease feeding on human blood in order to end his immortality – and go down with the rotting house. The irresistible scent of the young woman who unexpectedly visits the estate at night awakens his thirst, but her blue-eyed gaze stirs something deeper. Wracked with guilt, yet half-crazed with lust, William struggles to restrain his hunger for the girl with the uncanny gift. But when the moon rises, will his desire to protect Adia from what waits in the woods outmatch his determination to stay hungry? 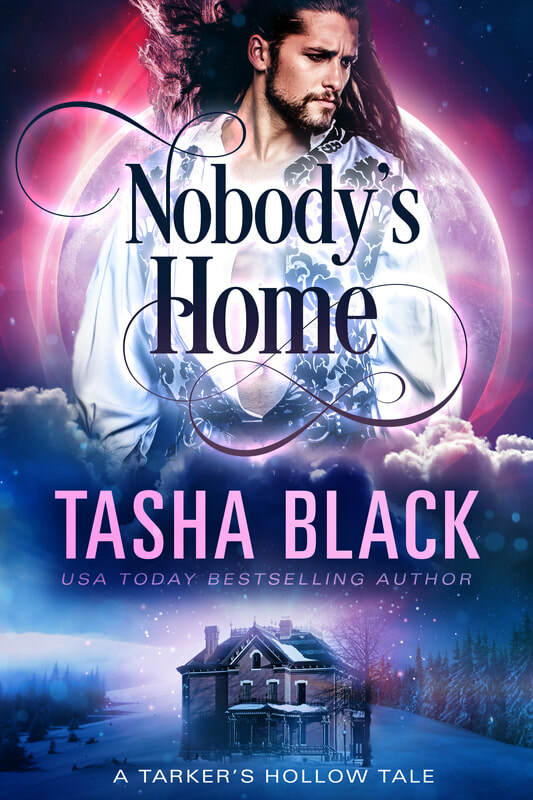 Nobody’s Home is a standalone vampire romance set in the world of Tarker’s Hollow.